Select the following link to see a summary of all updates from coordinating agencies. Increase access to behavioral health services Strategy 1.1: Strengthen the integration of behavioral and primary health care service delivery. Objective 1.1.1: By Dec 31, 2016, increase the percentage of Pinellas adults who always or usually receive the social and emotional support they need from 81.3% (2010) to 89.4%. Strategy 1.2: Integrate trauma-informed care practices across care settings with emphasis on Adverse Childhood Experiences (ACEs). 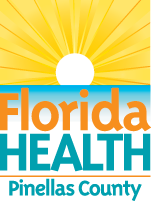 Objective 1.2.1: By Dec 31, 2017, reduce the rate of non-fatal hospitalizations for self-inflicted injuries from 72.9 per 100,000 (2008-2010) to 65.6 per 100,000 among Pinellas youth 12-18. Strategy 1.3: Engage targeted at-risk populations to better understand behavioral health care needs and prevent barriers to access. Objective 1.3.1: By Dec 31, 2017, decrease the suicide age-adjusted death rate in Pinellas from 17.7 per 100,000 (2010-2012) to 16.2 per 100,000.
regulations for prescription drugs classified as controlled substances. Objective 2.1.1: By Dec 31, 2017, reduce the number of accidental drug or toxin related deaths in Pinellas from 201 (2012) to 181. Strategy 2.2: Raise awareness among providers, parents, youth, and businesses on emerging substance abuse trends to improve and inform practices. Objective 2.2.1: By Dec 31, 2016, reduce the number of Pinellas youth who report lifetime drug use from 31.1% (2012) to 27.9%. Strategy 2.3: Increase access to substance abuse services for prenatal and postpartum women. Objective 2.3.1: By Dec 31, 2017, reduce the rate of Neonatal Abstinence Syndrome in Pinellas from 27.1 per 1,000 births (2009-2011) to per 24.4 per 1,000 births. Reduce violence among children and families Strategy 3.1: Promote community programs that maximize healthy development and interaction among children, families, schools, and communities. Objective 3.1.1: By Dec 31, 2017, reduce the rate of Pinellas children under 18 experiencing child abuse from 24.0 per 1,000 (2012) to 16.9 per 1,000. Strategy 3.2: Promote awareness, training, and advocacy to improve and inform practices related to domestic violence. Objective 3.2.1: By Dec 31, 2017, reduce the domestic violence rate in Pinellas from 772.8 per 100,000 (2009-2011) to 695.5 per 100,000.